The loss of a tooth or all causes a significant impact on someone. If this scenario is left untreated, it generally affects a person’s self-image as well as his spirit. In addition, it increases the risk of nutritional issues as well as other systematic health disorders. However, there is a way in which all this can be reduced or prevented completely. When you visit a Tigard dentist, you will be given the option of having removable dentures. This is a great option to solve the problem of missing teeth or tooth. As we know removable dentures are a well-known treatment alternative for missing teeth. 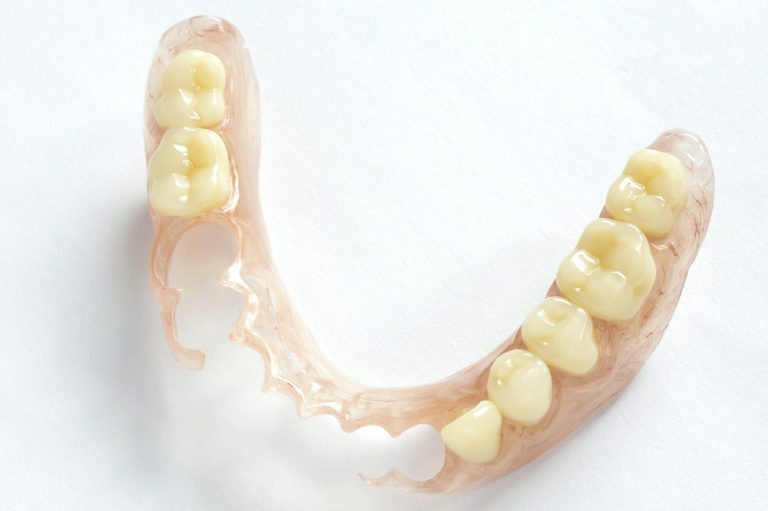 Removable dentures are versatile in the ability to take the place of any number of teeth that are missing. In addition, they fill out the contours of the face and lips which normally shrink inwards when a number of teeth are lost. Partial or full dentures mostly consist of gum-colored base which is made out of plastic resin. It fits over the remaining bone ridge that used to hold down the tooth. These prosthetic teeth are supposed to look as well as functioning just like the natural ones. It is important to have fitted dentures so that they can be held in place without much effect. In the beginning, wearing these dentures may be an uphill task but over time, the muscles as well as the nerves and ligaments of the mouth learn to work together. In addition, dentures help to give extra support to the facial skeleton and the soft tissues of the lips and cheeks. This creates a more youthful appearance. How are they made and fitted? The making of dentures can be described as a science and art. When you visit a Tigard dentist, an accurate impression is made of the alveolar ridges on the top and bottom of your mouth. The base of the denture is then constructed from this mold in a dental lab with special equipment. A Tigard dentist with the help of a lab technician come up with an ideal piece that looks natural. Satisfaction is key to us and therefore, before one in given his removable denture, a client has to be satisfied. For it to work properly, all the measurements have to be fit. In case you have lost your teeth and received a denture makeover, it is normal to find some tissue shrinkage as well as bone loss taking place. This means that after some time, your denture may not be fitting and therefore visiting the dentist has to take place so that they are fitted properly. In this situation you will be faced with two option. You can have your denture realigned or simply get a permanent set. Therefore, visit our dental unit today to find out which type of removable denture will work on you. A Tigard dentist will advise you accordingly.